Denver, Colorado has become a city known for its microbreweries. There are in fact, one hundred and forty-eight, but who’s counting? Hipsters will not die of thirst out here. Of course with all these porters and IPAs sloshing about, one might as well ask: what is a tea lover to do? 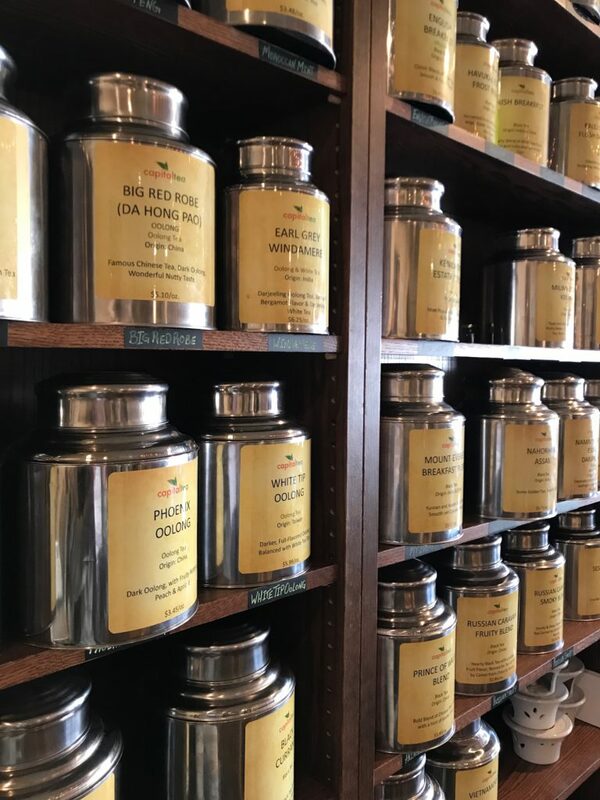 Fear not, for Denver is still a delightful town for the discerning tea-drinker. 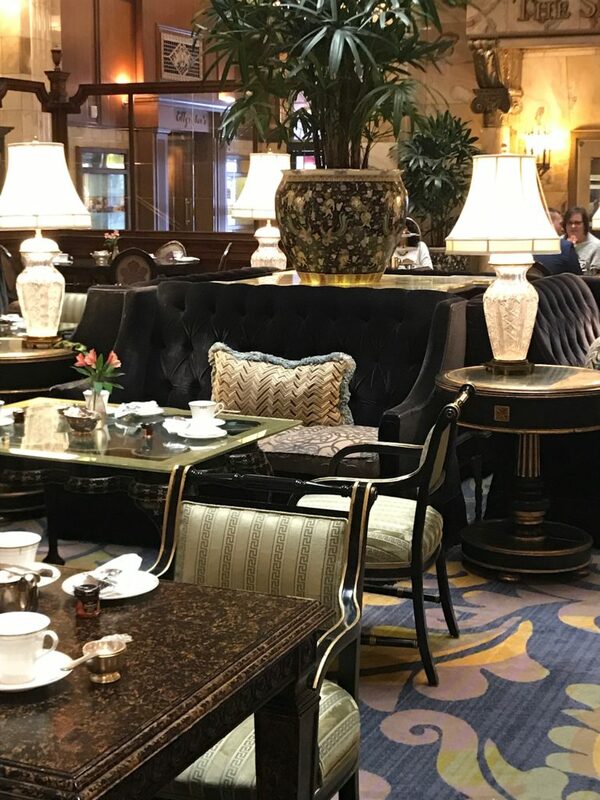 Whether you wish for a proper high-tea experience, a soothing post-work brew, or a calm morning cup to enjoy while studying, this city offers a nice selection of tea establishments to choose from. And if your companions insist upon beer, rest assured that nearly all of these places are within walking distance from a brewery where they can enjoy a pint (by themselves) while you relax with a warm, cozy mug. This spot in south-central Denver provides a calm charm immediately as you enter. Tables to the left and comfy sofas to the right indicate that you can sit down for a while. Peaceful vibes emanate throughout the place which opened in 2007 and has not only survived but thrived through a recession, seemingly never-ending construction projects on the road directly in front, and the implementation of the “green mile” – a reference to Denver’s new popular cannabis industry that has seen shops spring up a mile or so down the road. Fortunately, the recession and construction are long gone, and the “Green Mile” doesn’t begin its stretch for several blocks so customers should not broach any concerns. It is located in “Antique Row” – a quirky array of antique furniture shops where parking should not pose any problems. 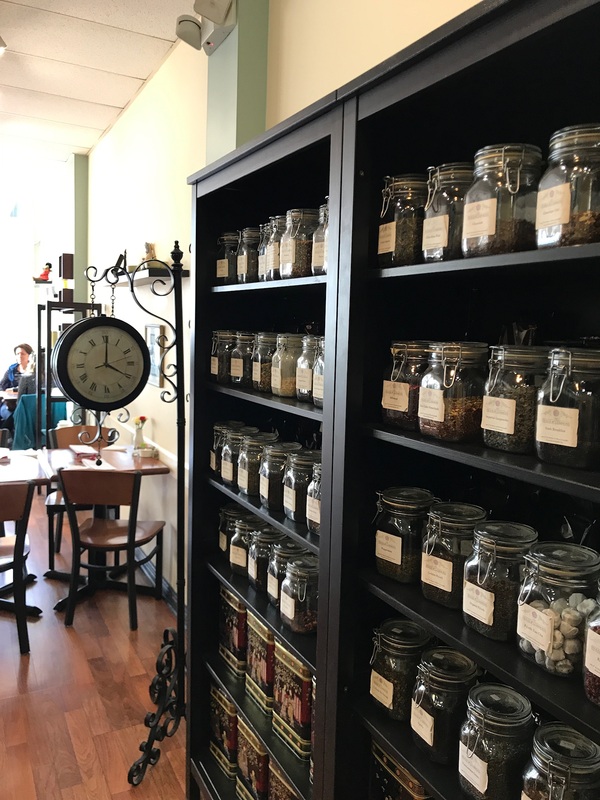 All teas here are loose leaf, with an impressive menu to choose from. Buy a pastry or a fuller meal – it’s all made in their kitchen. There are seasonal teas, and during the holiday season they offer high tea service. Prices are reasonable and while you can expect quality, do not worry about a dress code. The sofa and ottoman are comfortable, and putting up your feet while reading your novel is encouraged. Back when my commute took me from its southwest to the northeast section, I occasionally stopped in on my way home from work and found the environment restful. In the middle of a city marked by continuous growth and change, it’s a serene little shop. This adorable teahouse calls out to your inner Anglophile. 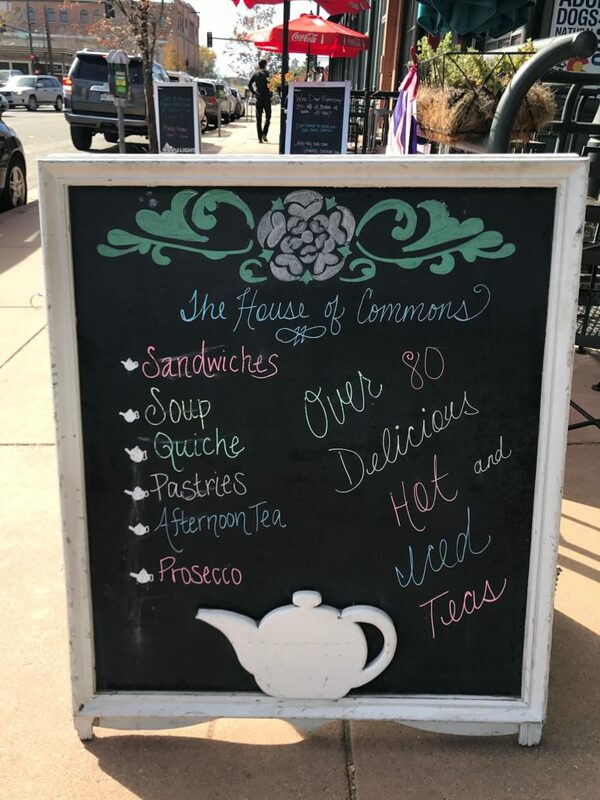 Located in Denver’s northwest Highland Neighborhood (or just “the Highlands”), House of Commons is an English Tea Room that is at once both elegant and affordable. Afternoon Tea is their specialty; however, it is also a pleasant place to meet a friend for lunch. It offers a fairly complete menu with vegetarian and gluten-free options. All food is made on the premises, which is an impressive feat considering the tight quarters. The chandeliers and shelves of commemorative British items suggest stuffiness. It is not remotely aloof, despite a formal appearance. The atmosphere feels warm, although it is not a place to linger for hours. This being Denver, there are outdoor equipment stores all around – including an REI (as well as breweries, of course) so there might be a few customers in hiking boots. This is nicely offset by the piped in light classical music. I once met a friend here for an early lunch after not having seen her for years. It was a lovely hour or so of catching up, and the atmosphere was inviting enough without feeling forced. Prices have remained reasonable despite the sweeping changes coming to the neighborhood encouraging all things upscale. As it has gained popularity, reservations are encouraged but not required. If you crave tradition and formality, this place means business. The Brown Palace opened in 1892 and has remained the city’s bastion of elegance ever since. The hotel bustles with energy, and the Denver Tea Room lies squarely in the center of it all. The surrounding activity does not diminish the experience. In fact, it enhances it as it summons a feeling of 1960’s era London at Fortnum & Mason. There is nothing cloistered about high tea here. One feels the city’s vitality while also finding a peaceful refuge from it. Afternoon Tea begins around $40, where you will enjoy tea of your choice with finger sandwiches and scones with Devonshire cream. If you have an extra hundred on you, you can skip the tea and order champagne instead while still enjoying the sandwiches and scones. Enjoy it all with live piano and harp music playing in the background. This experience is a must for a small group of friends, or for mother-daughter bonding. Some dear friends bring their daughters here for their birthdays each year, marking the passage of time with yearly pictures on the soft purple sofa. Afternoon Tea here is a staple among those who revere ritual and ceremony. Reservations are not required but definitely recommended – accommodation during the holiday season will be next to impossible without one. Technically we are out of Denver, but no discussion of local teahouses would be complete without discussing this fascinating place. Located about half an hour northwest of Denver, Boulder is home to the Dushanbe Teahouse, which was sent to them courtesy of their sister city, Dushanbe, Tajikistan. The teahouse was constructed entirely by hand in the late 1980’s by artisans in the style of the ancient Persian Empire. The intricate wall carvings and painted ceiling, as well as its twelve individual interior columns reflect this. Upon completion, the teahouse was dismantled and shipped to Boulder. 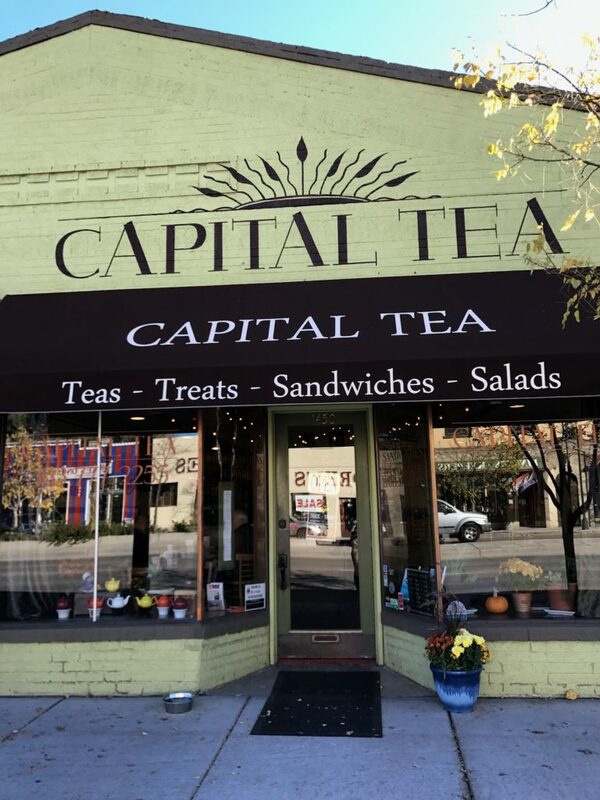 Now it has earned a place in Boulder history, not only for its wonderful backstory, but also for its superior quality of tea, food, and service. Open daily from eight a.m. until nine p.m., it is a popular spot for breakfast, lunch, dinner, or its current limited run of Afternoon Oolong Tea & Dim Sum. The menu is impressive with mostly Asian fare but often fused with standard American items. Reservations are highly recommended, particularly for Sunday brunch where there will be scores of people waiting. 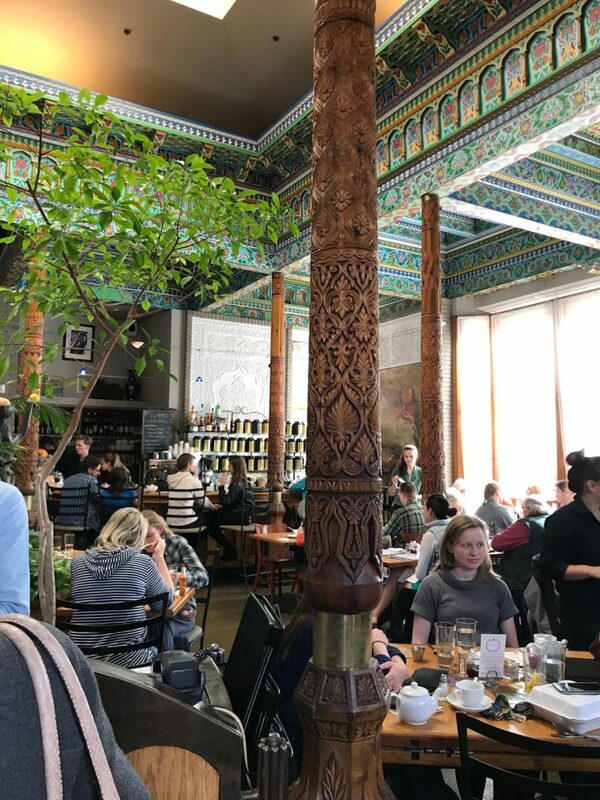 The Boulder Dushanbe Teahouse is a definite Boulder staple of global peace combined with superior food.